Cool how hard is it to move in space? The astronauts move with ease inside the space station. 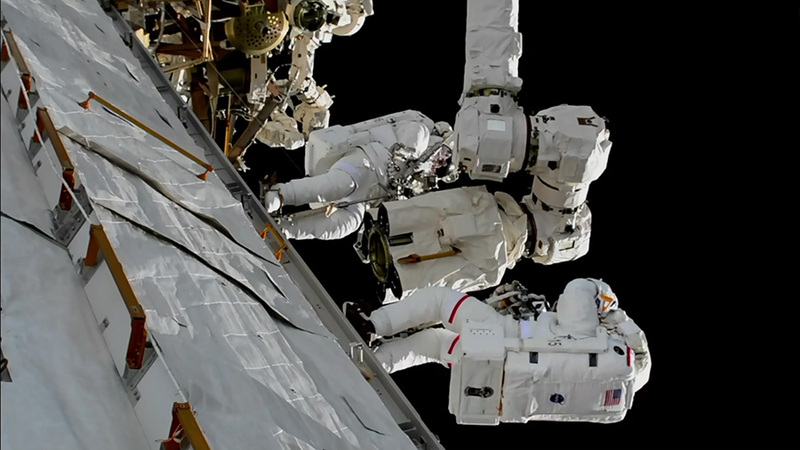 It can take a couple of days though for an astronaut to get used to floating in microgravity. Oh my! Almost 7 hours of floating.. do they like take a break in between to snack/drink/toilet ? Spacewalkers have a drink pouch that they can sip from inside their helmet using a straw but they are unable to eat during a spacewalk. They also have a specialized diaper inside their spacesuit just in case nature calls.